According to the students, the experience was academically invaluable. Meghan Pillai, a fifth term Trinity student and Boston University graduate, explained it as, “One of the most rewarding days we’ve had. 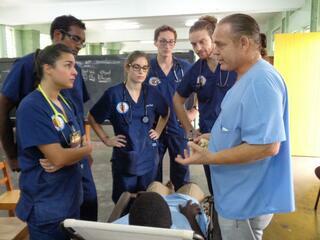 We got to see a lot of patients in a very short amount of time. It was a little hectic, first getting everybody in. We even had an emergency where the patient had to be seen immediately.” Many patients had not seen a physician in at least a year, some up to five years. There were babies and young children that had never seen a doctor at all, underscoring the importance of collaborations like this. 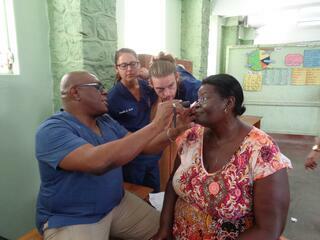 The Village Doctor event is of great importance to people in under-served areas. Nichole Ollivierre-Barnwell, principle of the primary school used to house the event, emphasized that many of the patients were elderly and living by themselves, unable to find anyone to take them to the doctor outside the community. Rotary 2015 President, Shafia London-Williams expressed pride in her organization’s endeavors. “This is one of our flagship programs,” she said, “I am so happy we could provide these services to person who do not have the finances to do for themselves.” She gave other advantages as being able to attend to more than one problem on the same day; receiving medication for common ailments on the spot; and being referred to specialists at the Milton Cato Memorial Hospital for follow-up treatment. (In those cases, Trinity students can continue to observe and interact with patients, as there are frequent opportunities to observe at the hospital). 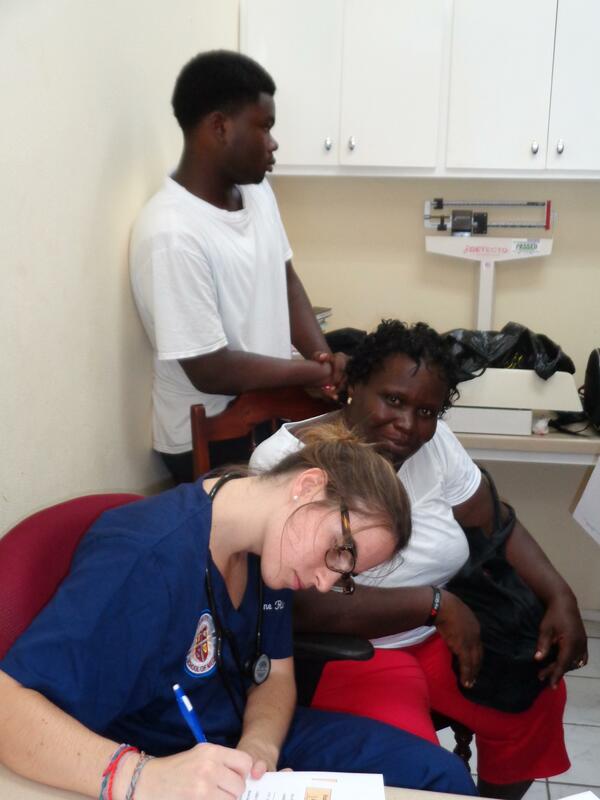 After completing triage, the students visited the consultation sites to observe, question, and learn from the specialists on hand as they dealt with their patients. Meghan Pillai took away a great lesson from the experience, “Today wasn't about trying to be the best student and more about trying to be the best physician for the patients." While this was the final Rotary/Trinity event of 2015, the 2016 schedule is already being finalized, for the benefit of students and St. Vincent citizens alike.